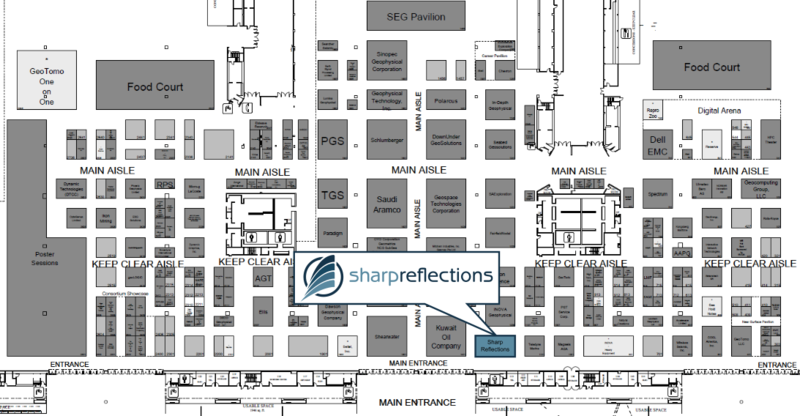 Sharp Reflections will be at the SEG Annual 2018, showcasing the latest developments in our Pre-Stack Pro software. You are welcome to visit us at booth 1300. Have a look at our booth schedule below to plan your attendance of one of our live demos. Besides you will have the opportunity to run Pre-Stack Pro yourself to see and test its diverse applications. Invert for geology in a one-step approach powered by Pre-Stack Pro high-performance computing. PCube+ follows a stochastic Bayesian AVO inversion scheme. Our implementation offers a flexible solutions in diverse basin settings, covering exploration and production needs in both conventional and unconventional reservoirs, respectively. True-amplitude processing is the holy grail of reflection geophysics – simple to explain, elusive in practice. Pre-Stack Pro integrates gather modeling, amplitude quality assurance, and interactive data conditioning directly in the QI workflow, to help interpreters improve amplitude integrity and better understand uncertainty. For more confident rock and fluid interpretation, start interpreting before the data are stacked. Is looking at pre-stack data unmanageable? Handling huge data volumes is critical but can be challenging without significant compute power and adequate disk storage. Pre-Stack Pro is designed for easy management of big datasets, rapid generation of volumetric QC’s, interactive pre-stack seismic data quality enhancement, and AVO analysis. Our mature Cloud solution provides the flexibility and power you need when you need it! Working collaboratively with exploration teams, our short and intensive data analysis Boot Camps are designed to quickly and efficiently optimize pre-stack seismic data quality for amplitude interpretation, delineate complex reservoirs, and reassess prospect risk strategies pertinent to a specific business problem. Our game-changing Pre-Stack Pro platform allows rigorous evaluations and fresh insight in days. Are your azimuthal datasets under-utilized and too big to handle? Are you still trying to get a better understanding of the anisotropy or your fractures in your reservoir? Pre-Stack Pro can help you address these challenges with our Azimuthal toolkit. We delve into our rich AVAZ application to show you how quick it is to generate pertinent products that can help you better characterize your reservoir. Click here to download our demo schedule. Join us for Cocktails in the Cloud on Tuesday 16 at Hotel Indigo Anaheim. Don’t forget to pick up an invitation at our booth.